Asbestos is the most common work related killer in the UK alongside work at height. The UK is reaching an epidemic due to the high number of cases being diagnosed. If working in a building constructed before the year 2001 it is highly likely that asbestos is present. Asbestos has been known to be used since the 1800’s but became extremely popular in the 1950’s due to its excellent properties and low cost. Asbestos is found in many different products and can be found almost anywhere. As an employer it is your duty to ensure all employees have received Asbestos Awareness Training and/or Refresher Asbestos Awareness Training on an annual basis. All legal requirements relating to asbestos are identified in the Control of Asbestos Regulations 2012 and The Management of Health & Safety at Work Regulations 1999. A copy of the HSE’s Asbestos Essentials can be downloaded here. HSS Health and Safety Services Asbestos Awareness Training Courses help candidates understand what asbestos is, how it can affect the human body, where it can be found, course of action on accidental discovery and what can be worked on. Asbestos Awareness Training Course length is 1/2 day (approx. 3 hours) which can be presented at your company premises or at the HSS Health and Safety Services Training Centre. 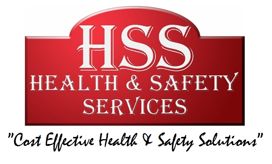 HSS Health and Safety Services offer advice on asbestos and can also offer a service for carrying out Asbestos Sampling and Analysis, Asbestos Air Tests, Asbestos Surveys and Asbestos Removal through our approved UKATA trained & UKAS accredited Asbestos companies.